To free up my other Raspberry Pi from being a DNS server and to use an already existing NAS on my local LAN, I decided to try to install NxFilter (my favourite DNS filtering solution) to a Synology DS115j NAS device. Here’s how I did it. 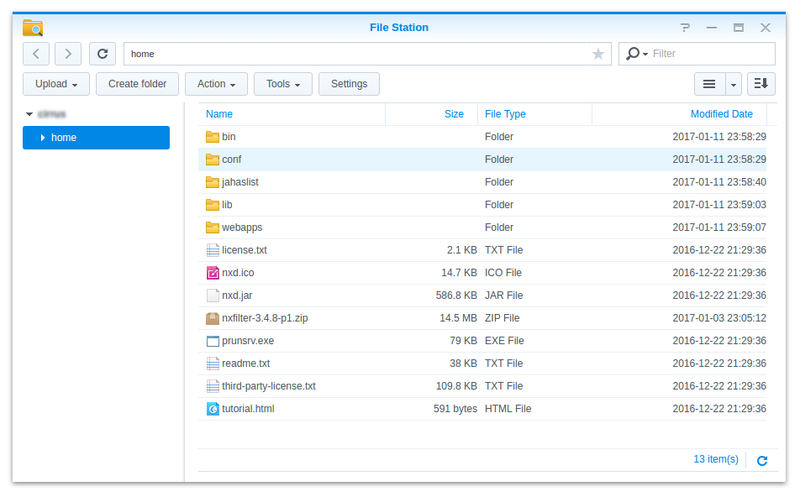 The DS115j is one of the more affordable models, running Version 5 of the Synology DiskStation Manager (DSM). Unfortunately it is not able to run Docker containers. Thus I decided to go down the native way with the Java Manager module. 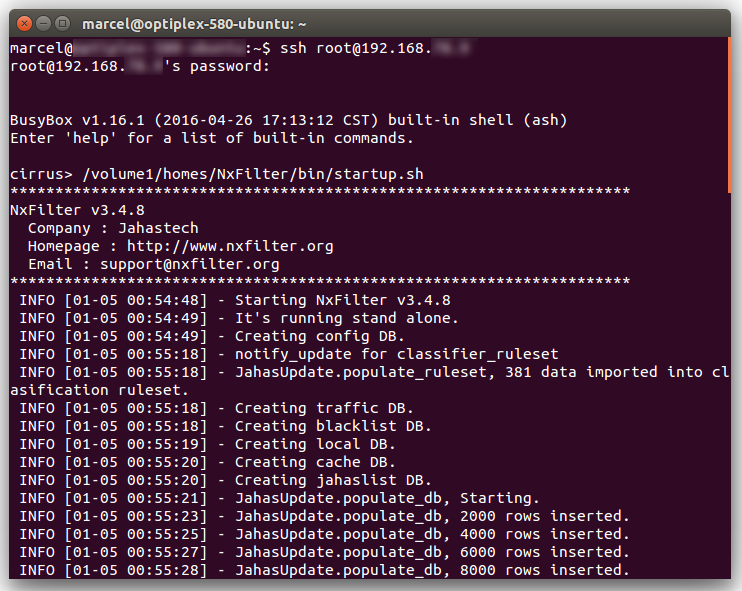 (at least temporarily) enable SSH on your NAS. Add kernel modules for port redirection from Port 53 to a non-privileged port, to avoid running the DNS server as root. Modify the Synology firewall to accept traffic for DNS and the NxFilter admin GUI. Use UpStart jobs to start up NxFilter automatically after boot. Use an upstream DNS server, also for queries originating from within the NAS. 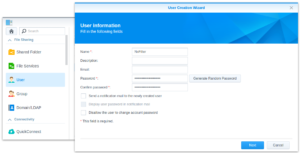 Log into your Synology NAS admin GUI as administrator. Install Java, version 1.7.0, using the Java Manager Package in the Package Center of you Synology NAS. Enable SSH in Control Panel / Terminal & SNMP / Terminal. Tick Enable SSH Service. Add firewall rules in Control Panel / Security / Firewall. You must open a port for DNS and one for the admin GUI. Since I will later use port redirection for DNS, I use port 8053 instead of the default 53. In the below example I allow all local traffic to the alternative DNS Port 8053 (UDP) as well as the administration GUI port 8443 (TCP). Firewall rules for DNS, using alternative ports. Get the latest NxFilter binaires as ZIP file from their website (nxfilter-v.v.v-p1.zip). 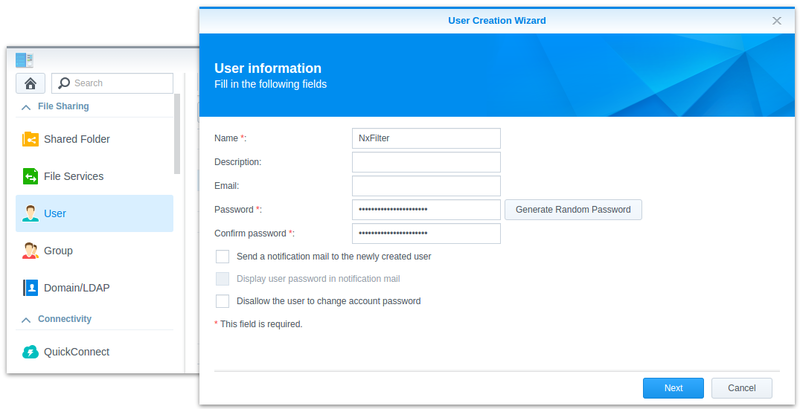 I suggest to create and use a specific local user account for the NxFilter installation on your Synology NAS to keep things separated. Name the user “NxFilter” and keep it the “users” System default group. There is no need to add any further access (not even for the FileStation), as this account is only used as a convenient, local container for the NxFilter files. 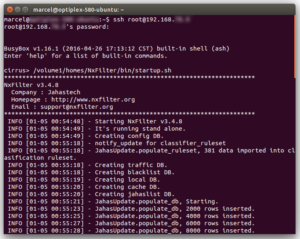 Log into the created NxFilter account, upload and unzip the binaries in to the home folder. To avoid avoid the necessity to run as root, you should use an alternative port for the NxFilter admin GUI as well as the DNS service. Now let’s shut it down again for the moment. To keep the NxFilter DNS server automatically running over NAS reboots, you can create an Upstart job configuration, that will cause a job to run at startup and shutdown of the NAS. description "Prepares the system to start the NxFilter DNS server on a non-privileged port at NAS startup"
author "marcel@codeministry.ch (hosted on qrys.ch)"
usage "Start NxFilter simply with 'start nxfilter'. The setup and teardown tasks will be invoked automatically." # on the given Synology DS115j NAS. # when serving DNS queries. 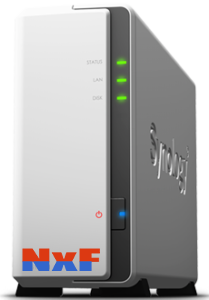 # Since Synology DS115j NAS does not support nat tables out of the box we will add this first. 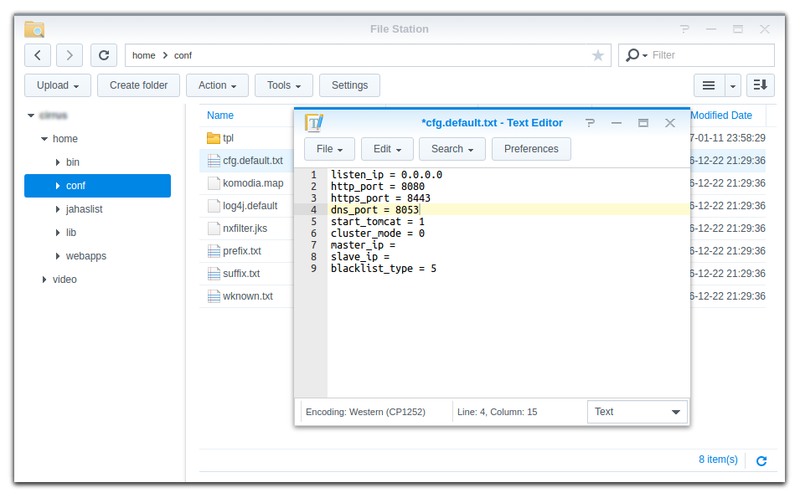 description "Starts the NxFilter DNS server on a non-privileged port at NAS startup"
# Only start this service after the httpd user process has started. It is a safe bet that the DNS is able to run now. # Stop the service gracefully if the network goes down. 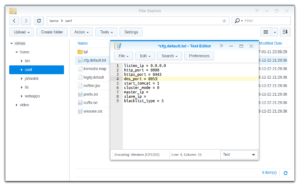 description "Reverts the changes made to the system to start the NxFilter DNS server on a non-privileged port at NAS startup"
If everything is OK, this job will start your NxFilter instance after reboot. By default, binding to a lower port, like 53 for DNS, needs root access, which is a good thing. But this also means that the whole NxFilter process (including the whole Java JVM in this case) needs to be run with root permissions, which is considered bad practice. Better, you set explicit permission for binding, but run it without being root. However, the NAS in question seems not to support any of the conventional ways of doing this, like using authbind or setcap. But there’s another way. iptables allows for all kind of redirecting and manipulating traffic. The solution here however requires only to change the destination port of an incoming DNS query packet. Thus I use the iptables directive as mentioned above. However, on a Synology DS115j NAS the required nat table for port forwarding is not loaded by default, thus we also need insmod, as also was shown above.